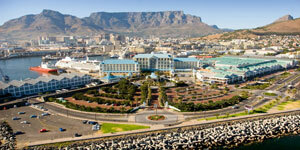 Depart on Singapore Airlines to Cape Town. Upon arrival, enjoy a city tour, which includes a drive by the Castle of Good Hope, a restored fort of Cape Town, the City Hall, the Houses of Parliament and the historical Malay Quarter. 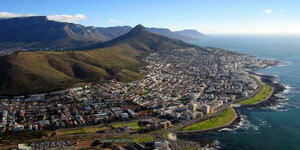 Proceed to the world famous Table Mountain by cable car (weather permitting). Embark on a boat ride to Seal Island (weather permitting). Proceed to Groot Constantia, the oldest wine estate in the country for wine tasting. Continue to the Cape of Good Hope Nature Reserve. Ascend to the highest point with the funicular. Lobster Lunch is provided at a local restaurant. Next, drive to Boulders Beach to see the Penguins. Head east towards Oudtshoorn, "Feather Capital of the World". Visit Safari Ostrich Ranch for lunch and tour of a working Ostrich Farm. Thereafter, proceed to Cango Wildlife ranch for a close encounter with the fastest animal on earth, the Cheetah. Visit Cango Caves, one of the world's great natural wonders. A guided tour through the calcite caves, revealed fascinating shapes enhanced by strategic lighting. Proceed to board the John Benn Cruise to the famous Knysna Heads where the 2 sandstone sentinels mark the mouth of the Knysna Lagoon. Arrive Johannesburg for a city tour of Johannesburg. Soweto Township Tour. This tour with a difference takes you through the streets of Soweto and its adjoining town-ships. Despite crowded and often impoverished conditions, there is a sense of happy bustling neighbourhood life. Most who venture here return enlightened, but always fascinated by the glimpse of this face of South Africa. Lunch will be served at a local restaurant. After lunch, proceed for a city tour of Pretoria. Depart for Kruger National Park, the largest game reserve in South Africa. 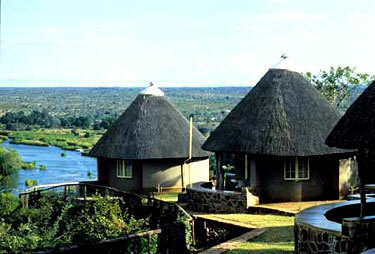 An exciting game drive awaits you as you proceed to your lodge. Dinner will be provided in the lodge. An opportunity to see and photograp the wide variety of game here, including the 'Big Five' as you embark on a game drive. Lunch is served at the lodge. In the late afternoon, another game drive on an Open Safari Vehicle through the Park and witness a breathtaking sunset along the way. Return to your lodge for dinner. Depart Kruger National Park for Sun City. In the late evening, we arrive Sun City, also known as "The City That Never Sleeps". The rest of you day is at leisure. The day is at your own leisure. Why not enjoy a game of golf at any one of the two championship courses here or try water sports of any form imaginable at Water world, a man-made lake. Transfer to Johannesburg International Airport to connect your flight home. Arrive in Singapore with sweet memories of your South Africa tour.